Warning: This post contains images and descriptions that may make some readers queasy! 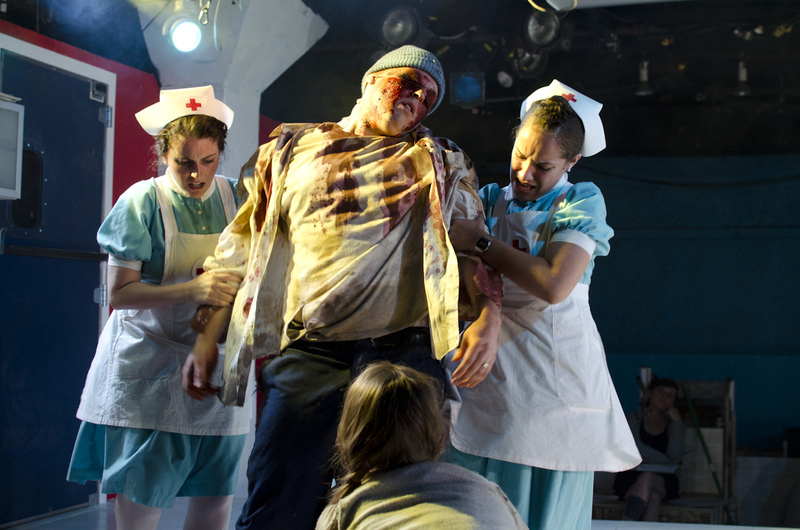 Bloody intestines, oozing blisters, melting hands—it’s all in a day’s work for Mary Williamson (THE ’08), a Chicago-based actor who also designs gory effects for local theatre productions. Though Williamson is a horror film aficionado and loved experimenting with makeup during her time at The Theatre School, she discovered her talent for this aspect of the industry by accident. 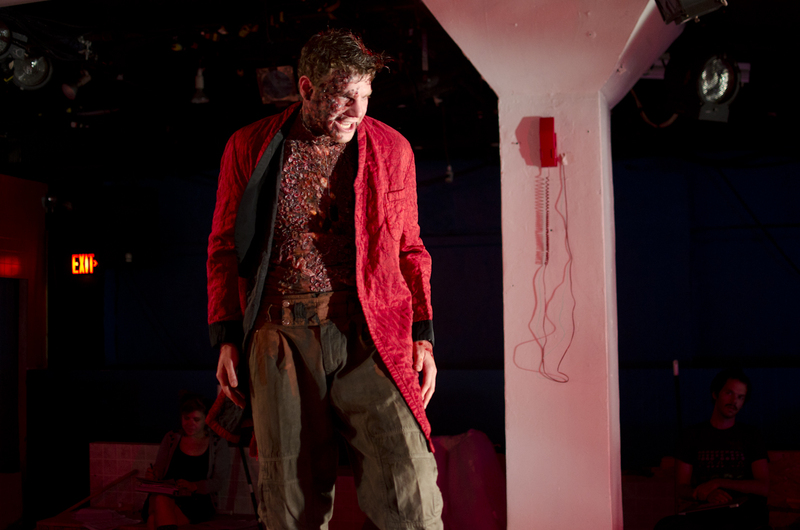 During a production of Brett Neveu’s “The Earl” at the Inconvenience, the company she co-founded, Williamson needed to enhance the fight choreography in a particularly graphic way. 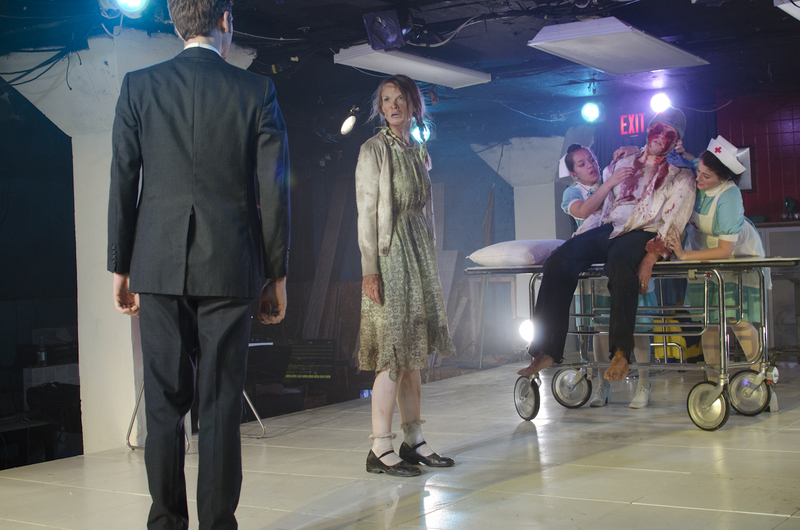 “It was pretty clear that the whole set was supposed to be covered with blood by the time the show was over,” she remembers. Liquid latex is a key tool in Williamson’s arsenal of creepy effects. To make the scabby burns, she painted latex over corn flakes and rice krispies. “Cereal is an old trick that makeup people use for more texture,” Williamson explains. Adding the cereal to a skin-colored nylon leotard jumpsuit transformed the costume into something truly hideous. 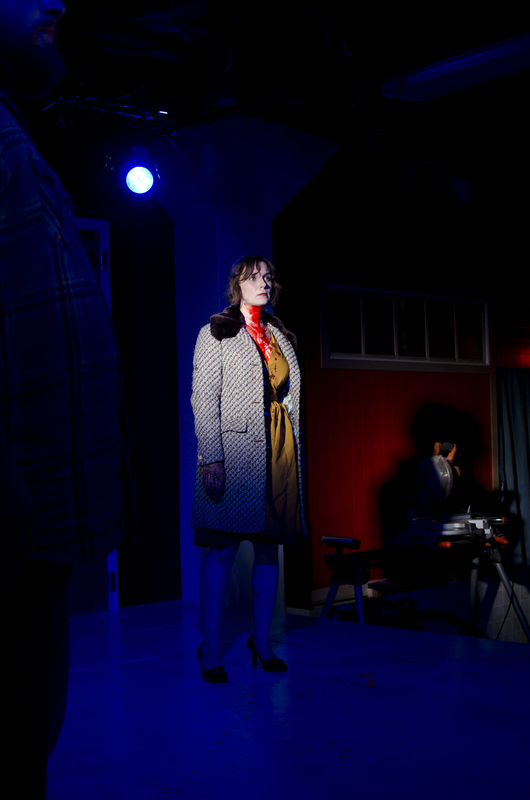 For a 2014 production of Egan Reich’s “Breach” at the Dog & Pony Theatre Co., Williamson was called in last-minute to design whale intestines. “The challenge was to create a prop that could be used repeatedly, that you didn’t have to replace every night,” she says. The set was more symbolic than realistic, so Williamson ultimately used a coil of rope and nylons stuffed with spongy material for the whale’s entrails.